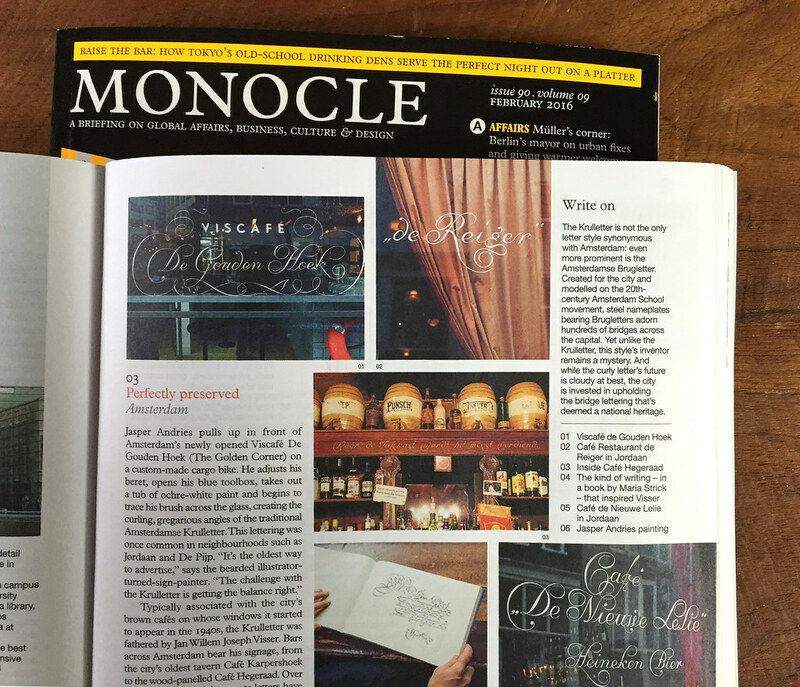 In the second number of 2016, Monocle magazine has published a well informed article telling the story of the Amsterdamse Krulletter’s origins and our efforts for preserving and reviving the tradition. Thanks a lot to Marie-Sophie Schwarzer and ‪Monocle’s team for bringing attention to this topic. Thanks also a lot to Studio Bar and Jasper Andries from Amsterdam Signpainters for your design inputs and hard work.